[toc]Every woman wants to own beautiful eyes so that people can notice them with smiles. But they may grow fine lines and wrinkles below their eyes. This fragile skin is prone to more wrinkles and lack of hydration too as it fails to generate its own usual moisture. The eye wrinkles appear due to hormonal aging, genetic aging and environmental aging too. Wrinkles can also grow because of repetitive motions. But the main reason is that collagen which is used to pack the facial portions goes missing, thus wrinkles start shaping up. But you can definitely work on it by tightening your face and decrease the appearance of the wrinkles. You can take care of it naturally; no need to go to the doctor. The wrinkles can be treated and the skin under the yes can be mended too. 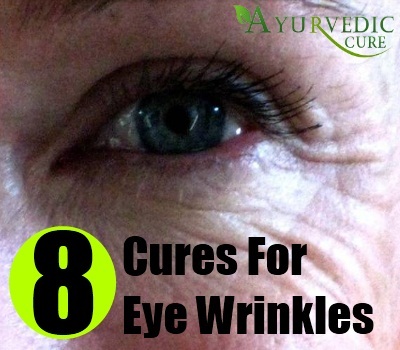 We’ve described 8 simple natural cures for eye wrinkles. Your meal should cover healthy diet that will help in lowering your eye wrinkle. Right amount of diet should be ingested that is rich in antioxidants that will develop your skin excellently. 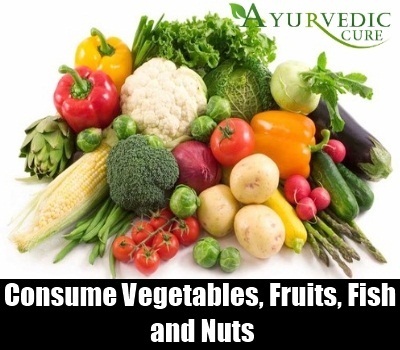 You should consume more of quality vegetables, fruits, fish and nuts that have higher amount of antioxidants, vitamins and minerals as they’ll aid in lowering your wrinkles under the eyes. Follow this proper diet on daily basis. In order to ward off the eye wrinkle, you can take the help of coconut oil. 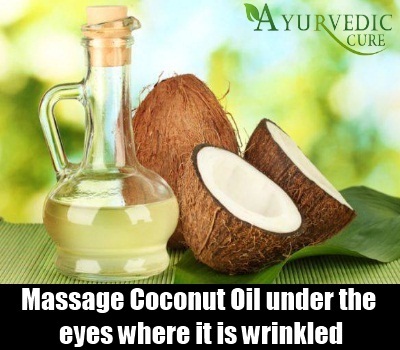 You can take some drops of coconut oil on the palm and massage below your eyes where it is wrinkled. Continue doing it once a day for a week and you’ll surely see good results. Grape seed oil has the capability to repair the under-eye skin and also the stretch marks seen there. It even holds skin moisturizing and nurturing properties. They also aid in fighting against thewrinkles and revive the glory of the skin. Having higher amount of antioxidants such as proanthocyanidins, the grape seed oil will avoid your skin from aging. Thus you can apply this oil on your dry under-eye skin so that it will remain hydrated. You should practice it two times per day daily. 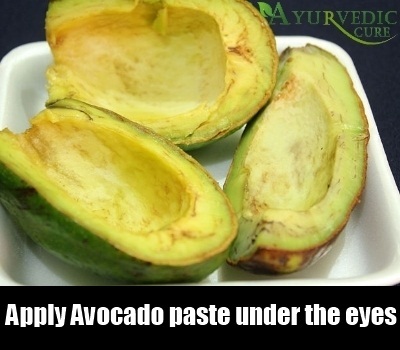 Your under-eye skin will improve gradually with the application of avocados which diminishes the wrinkles completely. Smash few avocados in the mixer by removing the seed and then put them under and around your eyes and leave for half an hour or so. The avocado which includes natural oil will activate your skin’s usual production of oil and thus your skin will look fresh, polished and younger too. You can also get rid of under eye wrinkle with the help of vitamin E. Being an antioxidant the vitamin E oil can hydrate the dry skin as it is quite thick. 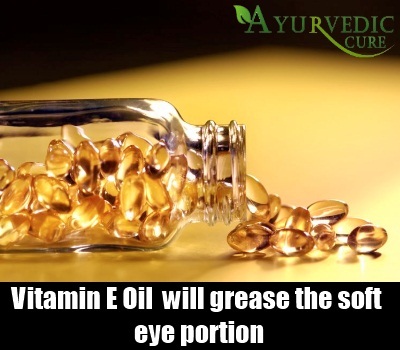 While it enters the skin, the vitamin E will grease the soft eye portion. It even lessens the wrinkles and stops from forming into new wrinkles. Before hitting the bed, you can press out the oil from the capsule of vitamin E and coat it on the wrinkles below the eyes. You can consume grape or pineapple in the morning and vitamin E at night which will give you great outcome. 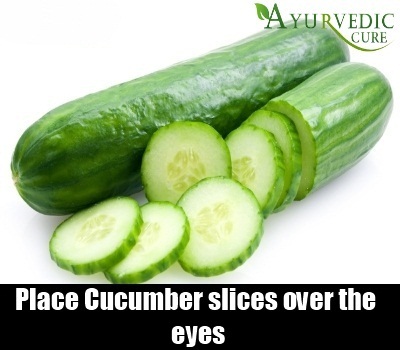 You can obstruct the wrinkles below your eyes with the aid of cucumber. So you can cut the cucumber in thin slices and cover both your eyes. By the cucumber’s help the fine lines, eye wrinkles and bulge will lessen, and after few days of application your eyes will look refreshed. 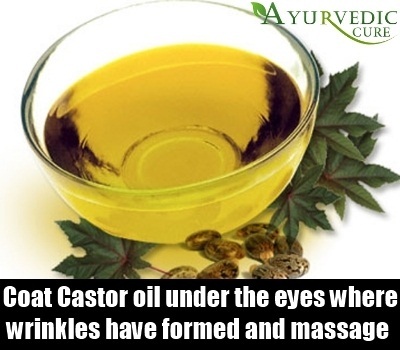 Castor oil is useful in treating the eye wrinkle. You can coat some castor oil under the eyes where wrinkles have formed and massage them lightly at night. In the morning you can clean your wash with cold water. Not only the signs of aging will lower but also your skin will be polished. This process should be continued 1 to 2 times each week so that the wrinkles won’t redevelop again. Lemon juice is another natural cure for fending off the eye wrinkles. 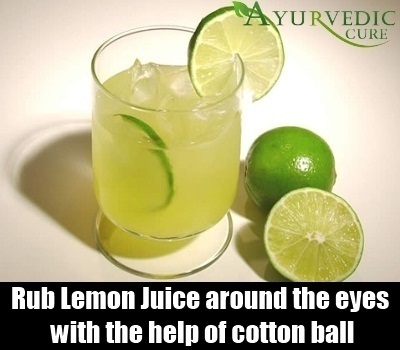 You can immerse a cotton ball in the lemon juice and rub around the eyes in the morning and at night. The lemon juice shouldn’t go into your eyes at any cost. You need to repeat this method for some weeks and then you will notice that the wrinkles have gone away. Therefore women can use the above natural cures and stay away from eye wrinkles.